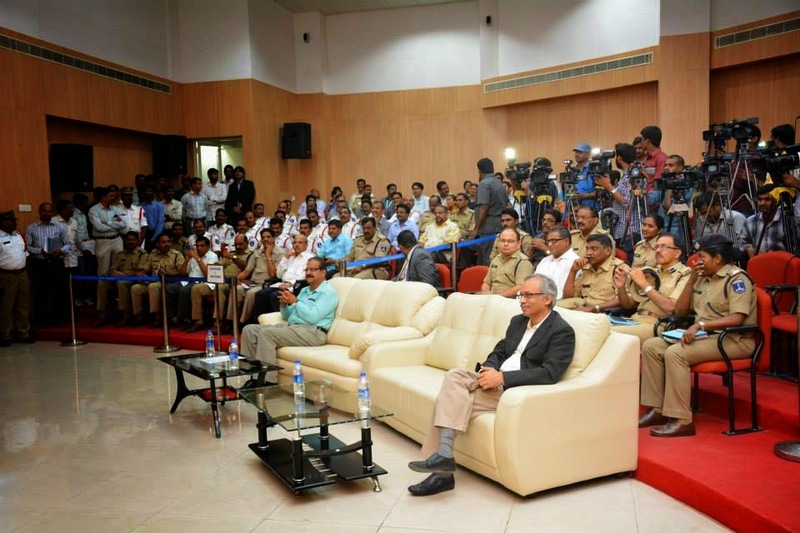 Hyderabad and Cyberabad Police together launched Integrated e-Challan system on Friday, 9th January 2015. 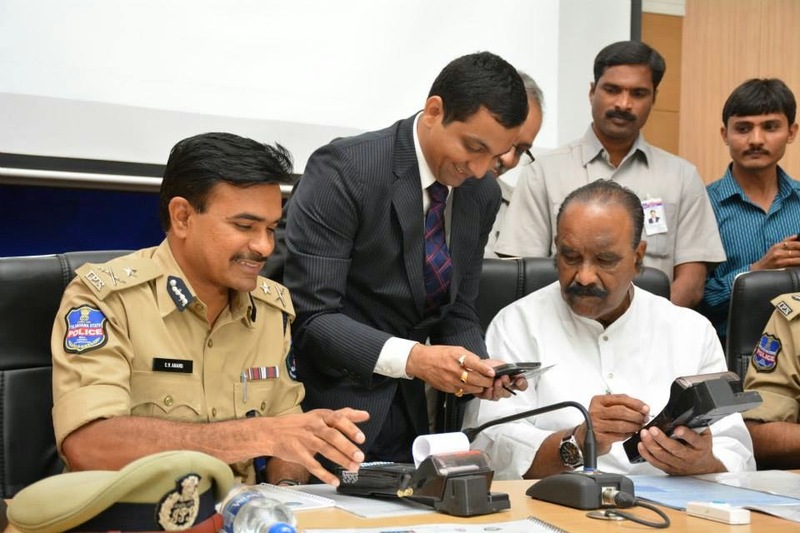 This marks a significant move and shift from having separate systems where both Hyderabad and Cyberabad used to issue e-challans separately on vehicles violating traffic rules in the respective areas of Hyderabad and Cyberabad. The collection of the e challan was also done by each Police department differently in there own areas only. In Traffic Police enforcement e Challan is a way enforcing traffic fines for violation of traffic rules. In e challan a physical copy of the challan is not issued on the spot but a digital e challan is generated based on a photographic evidence. While all traffic violations are not covered by e challan many of them which can be proven with a photograph are included in this type of enforcement for traffic rules. In general any violation with regards to the driving skills is or can be issued a e-challan on the basis of the photograph. Violation with regards documents are not covered under it except valid insurance violation for which Cyberabad Traffic Police has started issuing e challan. Cyberabad Traffic Police in one of its first initiatives in India has integrated there e-challan system with the database of Insurance Regulatory Authority of India to issue ticket to vehicles who do not renew there Vehicle Insurance on time. Such vehicle are automatically issued a traffic challan. As we move ahead most of the traffic police India wants to do away with the system of spot challan. In this system vehicles are stopped for any violation with regards to driving and also checked for any violation of traffic rules with regards to documents. Hyderabad Traffic Police and Cyberabad Traffic Police have almost done away with the system of Spot Challan and majority of the traffic violations in both cities are now issued a e-challan. Collection of e-challan has also been made cashless. This is to bring in transparency and reduce instances of corruption on roads. Hyderabad Police and Cyberabad Police operate as separate bodies when it comes to implementation of Law and Order. This was done to provide better policing at both the areas. Hyderabad has a higher population than Cyberabad while Cyberabad is almost 10 times bigger than Hyderabad. Integration of e-challan and the launch of a system which functions seamlessly at both the commissionerates ensures that a traffic violator in one area does not seek refuge in the other area. How does your life of a commuter change with this? 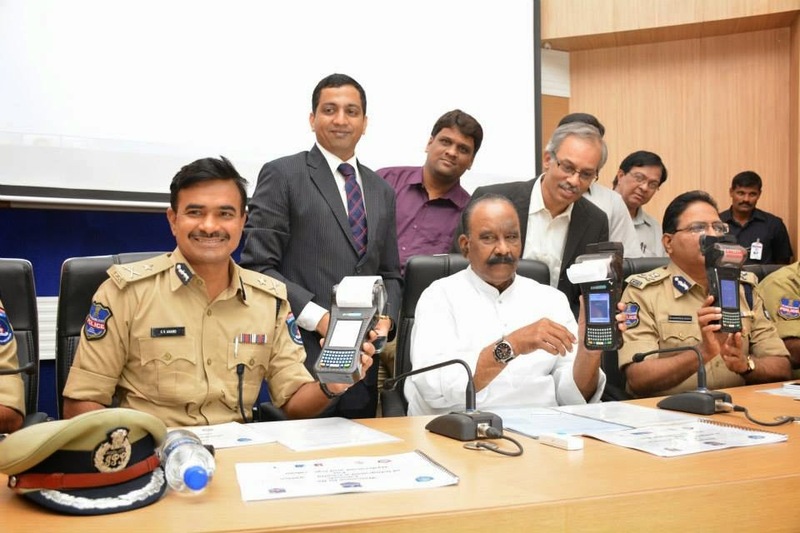 Launch of this system ensures that citizens of Hyderabad and Cyberabad can expect more transparency and do not have to check there e-challan at two places. It also simplifies the process of contesting wrong e-challan through a single portal. Most of the wrong e-challans can only be contested on the grounds of manual error using the 'Report Us' button at the e-challan website. 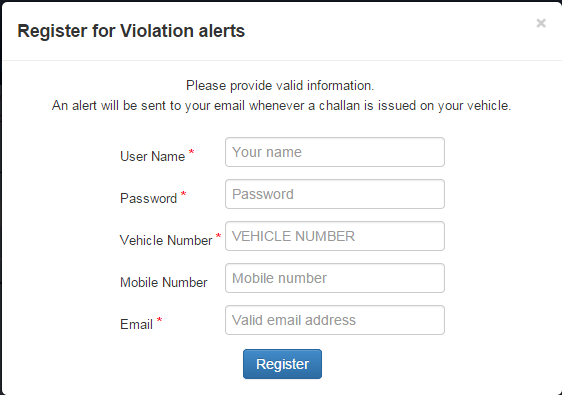 You can register and create your account at the e challan website to get e-mail alerts for e challans. You can now pay your e-challans through netbanking. Graphs and visuals inform you about Traffic Violations being done by you on a regular basis with current and pass challan data. At the time of writing this article the data was available briefly but was removed later on. You can now check for previous e-challans which have been paid by you with total records of all challans paid till date. To check Paid e Challans enter your vehicle number and captcha and then click on Paid Challans. 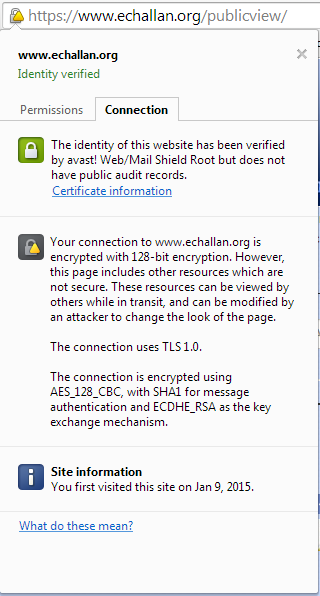 The site is now SSL Secure. Thats a good step to ensure data security of users. The connection is secured by 128 bit encryption. You can now also check the transaction status by entering the reference number of your Netbanking transaction. To do so enter your Vehicle Number and then click NetBanking. While esevaonline and aponline options were previously available, eseva website has many issues with its website besides the security feature. APOnline is likely to changed soon at Hyderabad and Cyberabad with TSOnline, so its the worth the wait. 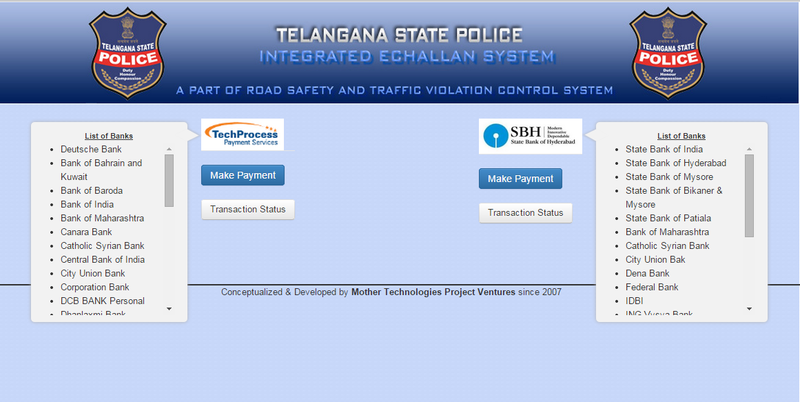 You have to Register at e-challan website to make payment of your e-challan online. Credit Card option to make payments is only available at esevaonline. The site still gets stuck on several occasions and is not completely secure. For any payments of echallan the suggested mode is Netbanking. For any queries you contact Traffic e Challan branch of Hyderabad and Cyberabad at the following numbers.